If Tintoretto's life were a move, it would be called "The Fast and Il Furioso: Venetian Palette." Tintoretto is a nickname-turned-pen name earned while working in his father's silk dying workshop. His real name was Jacopo Robusti. Jacopo's other nickname is Il Furioso, because he'd get into some weird, angry zone while killing it with the paintbrushes. His studio had the following inscribed in large print across one wall: "The drawing of Michelangelo and the color of Titian." Titian was his master until the grumpy old goat kicked him out for being the fortunately unfortunate combination of insubordinate and too talented. Or, as another version of the same story goes, kindly ol' Titian kicked out Tintoretto because the wee lad already knew everything the teacher had to give. In any case, Tintoretto grew up to be kind of a homebody, and only left Venice once to make sure no one screwed up installing some of his work at the Ducal Palace in Mantua. Most of his time was spent painting and caring for his eight kids with his lovely wife. 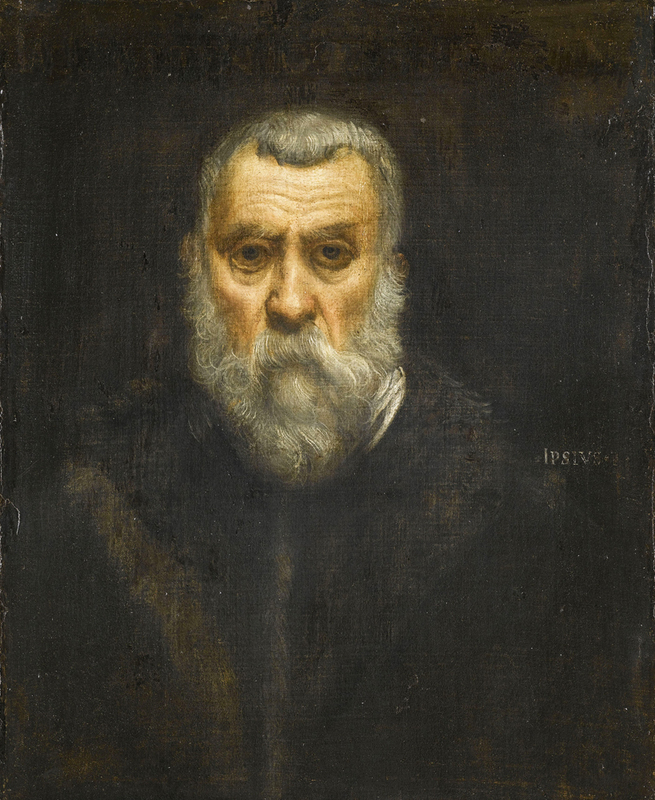 Tintoretto was a shrewd businessman. Yay verily, the most hated on player-painter in Venice's crowded arts scene. Tintoretto would undercut everyone's prices. His shop may as well have been called Crazy Tito's Lo-Ball-Me Commissions. If he liked a project, he'd do it at cost for materials. If he really liked it (or, perhaps, wanted to circuitously ruin work for his competition) he'd do it for free. Another thing that's totally Tintoretto was how quickly the ace Venetian could paint. It's all a part of that Il Furioso mentality. After thoughtful preparation, he'd go after the canvas and finish projects as quickly as possible. His process, which often left visible brushstrokes, was taken as either an expression of vitality or as poor technique. He also favored paintings with a lot of moving players in complex poses. One art historian phrased it that Tintoretto's figures are always "flying, falling, sinking, or biting." He'd construct stages with wax figures suspended by string to make sure the lighting and movement was just right. While he's certainly not the only artist to bring this particular crafting approach to their artistic method, Tintoretto did noticeably reuse the same figures over and again throughout his career. He had a large workshop with assistants crawling about like the minions in "Despicable Me". Their workflow differed from the workshops of fellow Venetian titans (i.e. Titian and Veronese) in that he wanted assistants to do total remixes of his prior work. Artistic freedom aside, this is good for us because it makes determining which paintings are actually by Big Pimpin' relatively easy. Tintoretto (Italian pronunciation: [tintoˈretto]; born Jacopo Comin, late September or early October, 1518 – 31 May 1594) was an Italian painter and a notable exponent of the Venetian school. The speed with which he painted, and the unprecedented boldness of his brushwork, were both admired and criticized by his contemporaries. For his phenomenal energy in painting he was termed Il Furioso. His work is characterised by his muscular figures, dramatic gestures and bold use of perspective, in the Mannerist style. In his youth, Tintoretto was also known as Jacopo Robusti as his father had defended the gates of Padua in a way that others called robust, against the imperial troops during the War of the League of Cambrai (1509–16). His real name "Comin" was discovered by Miguel Falomir of the Museo del Prado, Madrid, and was made public on the occasion of the retrospective of Tintoretto at the Prado in 2007. Comin translates to the spice cumin in the local language. Check out the full Wikipedia article about Tintoretto.